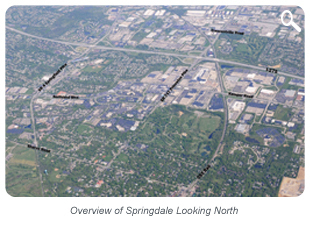 The City of Springdale has a current population of 11,223 representing an increase of 6.2% between 2000 and 2010. Residents occupy 4,906 dwellings and have median household incomes of $51,317. 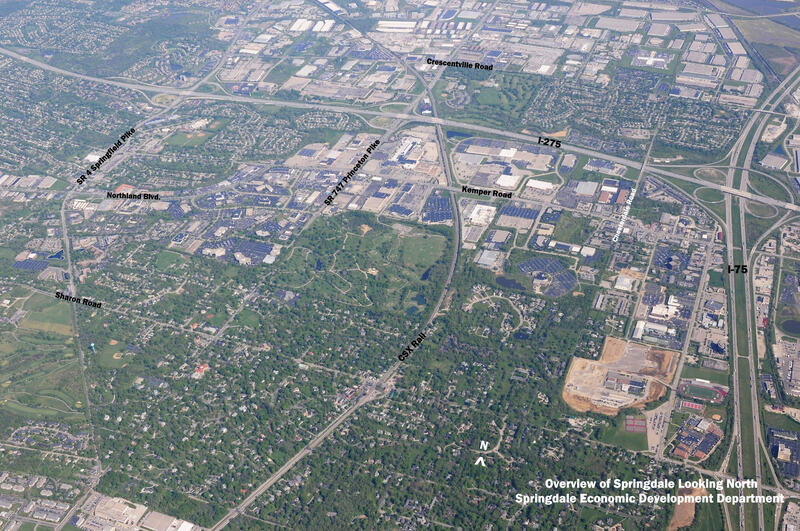 There are 1,113 businesses in Springdale which account for $700 million in annual payroll; annual manufacturer's shipments of $1.5 billion; and retail sales per year of $915 million. Click on "View Maps On CAGIS Online"
Download Google Earth and search "Springdale, Ohio"
For more detailed demographic statistical information go to: U.S. Census Bureau using the link below and type in Springdale in the space "Select A City"